Yesterday House Capital Budget leaders released their proposal for the state’s 2019-21 Capital Budget plan. Governor Inslee is deeply saddened by the death of Kittitas County Sheriff’s Deputy Ryan Thompson, 42, and directs that Washington State and United States flags at all state agency facilities be lowered to half-staff in his memory on Thursday, March 28, 2019. Deputy Thompson was killed in the line of duty on March 19. Today higher education leaders in the House of Representatives introduced the Workforce Education Investment Act (HB 2158), which would create a new dedicated fund for higher education investments in the state through a 0.3% rate increase on certain businesses who rely on employees with a four-year degree. Sislena Ledbetter has been hired as executive director for Counseling, Health and Wellness at Western Washington University. Ledbetter, who will start at Western in July, was hired following a national search. The executive director provides strategic, financial and budgetary leadership and management of Counseling, Health, and Wellness services at Western. WWU's President’s Advisory Committee on Institutional Resource Modeling (PACIRM) will hold town hall open forum meetings on April 23 and 25. Both meetings will be in Fraser Hall 201. The April 23 town hall will be held from 4-4:50 p.m., and the town hall on April 25 will be held from 9-9:50 a.m., and feedback is welcomed by the university community. This resource-modeling exercise estimates the prosperity gap associated with achieving key WWU Strategic Plan objectives. You still have time to take advantage of the one-time open enrollment opportunity for Optional Long-Term Disability (LTD) insurance. From March 1 through March 31, 2019, you may enroll in Optional LTD or reduce your waiting period without providing evidence of insurability (proof of good health). Tonight, Wednesday, March 20 at 7PM, there will be a vigil on Red Square to honor the victims of the Christchurch mosques shooting. The vigil is being organized by Western's Muslim Student Association. More information is on the Muslim Student Association WWU Facebook page. According to the Washington State Economic and Revenue Forecast Council, projected revenue collections for the state of Washington’s Near General Fund have increased slightly for the 2019-21 biennium. Today’s quarterly revenue forecast shows a $307 million increase for the current 2017-19 biennium and a $554 million increase for the upcoming 2019-21 biennium. 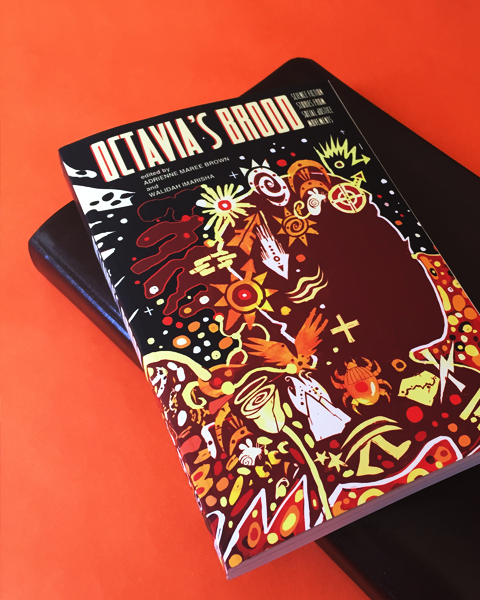 On Thursday, April 18, the Western Reads program will host three authors from "Octavia's Brood: Science Fiction Stories from Social Justice Movements," the 2018-2019 Western Reads text. Co-editor/author Walidah Imarisha and authors Leah Lakshmi Piepzna-Samarasinha and Gabriel Teodros will present to the campus at 6 p.m. in Fraser Hall 102 on using the genre of science fiction as a practice ground for social justice.